Spacious (1750+ sf) 4 bedroom, 2 bath house with private fenced backyard featuring a hot tub, decks and outdoor shower. Off-street parking for 4 cars. Quiet neighborhood just a short walk to the center of town and minutes from everything - restaurants, shops and galleries. Beautiful kitchen with granite counters, microwave, dishwasher, coffeemaker and washer/dryer. Beautiful outdoor space perfect for relaxing and outdoor dining with decks, patio and gazebo with Hot Springs hot tub(Closed during the winter). Steps to enter all Doors. Overall, the eight of us had a great stay at #5 Old Colony. Inside furnishings were nice with TVs, cable and WiFi. We cooked a good bit - the kitchen was well equipt and the dishwasher worked well. We liked the large dining table with 8 seats. Beds and bedrooms were in good shape with nice furniture and fans. The washer and dryer were key. The two bathrooms worked for us and I loved the outdoor shower. We enjoyed the hot tub outside as well. We also had 8 outside chairs with umbrellas - cushions would have been nice. The wooden built-in benches could have used some cushions or something to lie on and a couple of chaise lounges would have been a nice touch, but this is a very nice property and we had a great stay. I was unable to contact Perry's Property Management nor did they contact me when I called them, left messages. I had to call owner Teresa in Ohio for the key box code to get into the house. A little more communication would have been great. A $750 deposit was required, which I understand - I expect to get it all back... If I don't I will re-write this review. We paid a $ premium for Carnival Week, which, again, I understand but thought that that addition could have provided an extra perk or more. Absolutely loved this place! 8 of us stayed here for my boyfriend's birthday and had a great time. It was the perfect size house for this number of people, comfortable beds, plenty of space for sitting and eating together both inside and outside, kitchen is fully equipped, and the hot tub was amazing. Very close to lots of bars and restaurants, about a 5-10 minute walk to Commercial Street. Teresa was very responsive when getting ready for our stay. This house definitely exceeded our expectations, thanks for sharing it with us, Teresa! It was a cute house, close to downtown. We love Provincetown and this place puts you in the heart of it. We did have some issues with the cleanliness and cleaning fee. There is a cleaning fee, but upon arrival you find-out that in order to get your security deposit returned you you must clean all surfaces and floors. We left it cleaner that we found it. Our entire security deposit was returned two weeks after their deadline once I contacted the owner. Stayed here during Carnival week with some friends (3 couples + 2 singles). The layout and size of the house was perfect for our group. The kitchen amenities were sufficient for our needs, and having an onsite washer/dryer was useful given the length of our stay. I believe the hot tub was used almost daily, and the back outdoor space was great for unwinding and relaxing. The location of this property is just a short walk (7 minutes) to Commercial Street. Close enough to walk downtown, but far enough to escape. 1. I don't recall seeing anything mentioned about AC in the property profile. The house seems to only be cooled by ceiling and box fans. This was more than sufficient for us given the temperature remained in the 70's / low 80's all week, but could be problematic in more humid or warmer weather. 2. The profile says that there is parking for four vehicles. We had three SUV's and a sedan. Seemed like you could most likely fit a fifth vehicle if needed. Overall I'd rent this property again. Nice house with beautiful breeezes in quiet setting, short walk to everything! 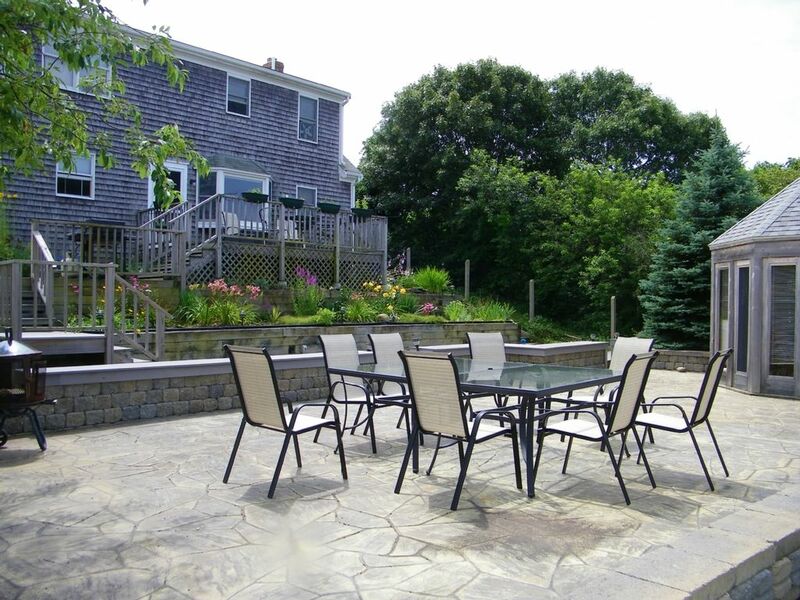 The property was perfect for our needs - a quick weekend getaway in P-town. The house is in a quiet location but is walking distance to everything to see and do on Commercial Street. My only complaint was the cleanliness of the property. I understand that there isn't a ton of time for cleaners to get in before rentals flip over to new renters, but there was still some trash left in the house from the previous renters that wasn't caught by the cleaning staff, and we arrived to wet towels sitting in the washer that we rewashed not knowing how long they sat wet, and trash and recycling piled outside. None of these were deal breakers, we would absolutely stay again.